Estee Lauder enlisted French Makeup Artist, turned It Girl, Violette, as their new Global Beauty Director. 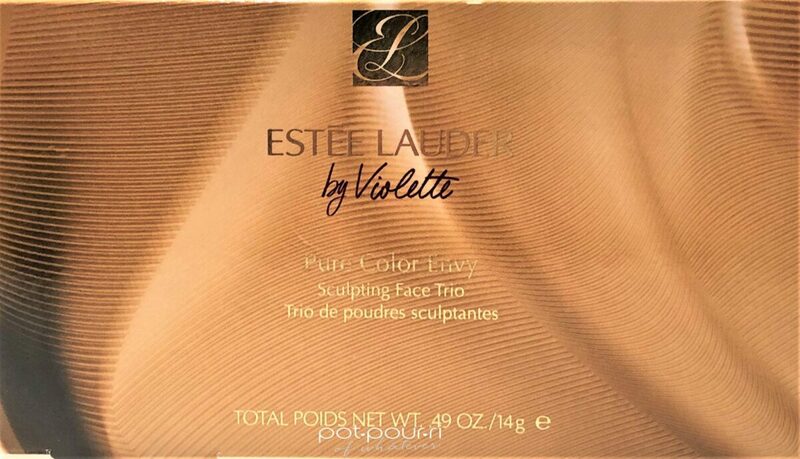 Therefore, Violette is a major contributor to Estee Lauder product development, artistry and education. To begin with, Violette’s formal education was in Fine Art. Later, she became interested in fashion. However, her true love turned out to be makeup. Violette became a successful beauty vlogger. As a result, the beauty industry fell in love with her effortless, French girl beauty. In fact, the whole beauty industry has a crush on her.Her first capsule collection, Poppy Savauge, for Estee Lauder was a huge success. Her newest capsule, Estee Lauder X Violette Dangereuse Collection, launched in time for the Holidays. 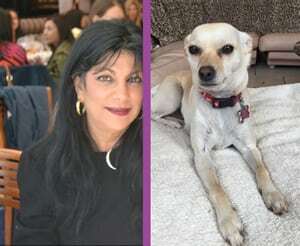 Like Violette, her capsule collections have taken the world by storm. You can find Estee Lauder X Violette Dangereuse Collection on the Violet Grey Website and the Estee Lauder Website. 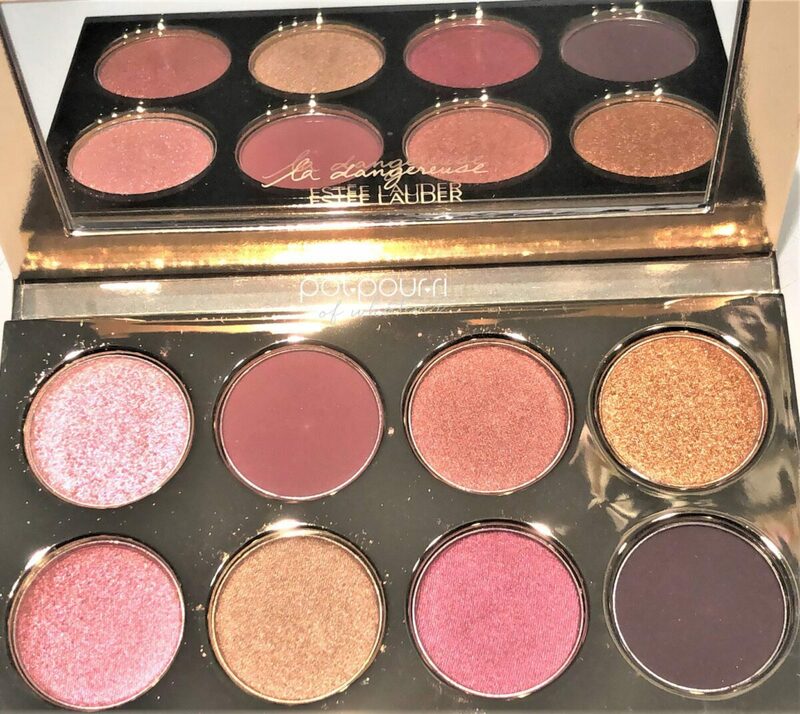 The collection has two palettes, Amour, Amour, and Blue Dahlia. Each palette retails for $39. 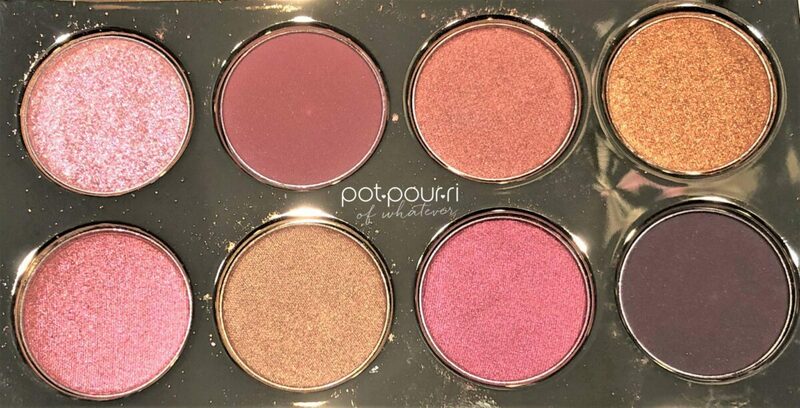 Also in the collection, Swirling Passions is a face trio that includes two blushers, and a highlighter. 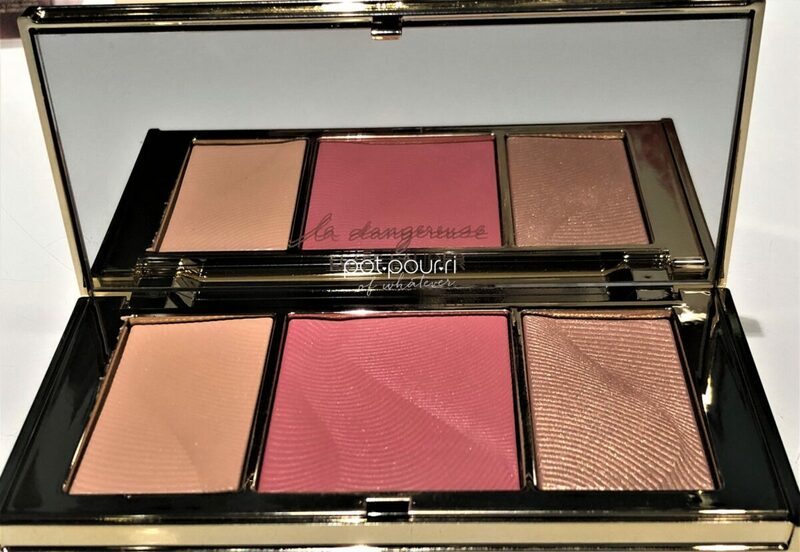 The Pure Color Envy Face Trio retails for $48. There are two Paint On liquid lipsticks in the collection. Each liquid lipstick retails for $28. In addition, the Pure Color Envy Sculpting Lipstick, called Diabolique, retails for $32. Moreover, there is a Deluxe Eye Crayon, Sly & Sultry that costs $23. Finally, the collection has one Glitter Pot, Burning Star, that sells for $ 26. Also, there is the Sheer Scandal Eye Gloss, for $26. Violette’s inspiration for the Dangereuse Capsule Collection comes from the femme fatale. A femme fatale is a glamorous, dangerous, and mysterious woman. Aside from that, she is also seductive and alluring. Above all, the femme fatale is a powerful woman. Furthermore, Violette has a 6th sense about what women want. She has a huge, over 350,000 you tube following. Above all, Violette appreciates how beauty can make women feel comfortable in their own skin! The eye shadows are packaging in a metallic gold case. Moreover, the compact’s lid corresponds to the colors inside. The picture on the lid looks like fabrics blowing in the wind. In fact, it reminds me of the introduction to a femme fatale movie. For example, there is a shadow of a woman in the background, and the sheer fabric is blowing in front of her. As a result, the woman looks mysterious, and dangerous. Also, she is very glamorous. 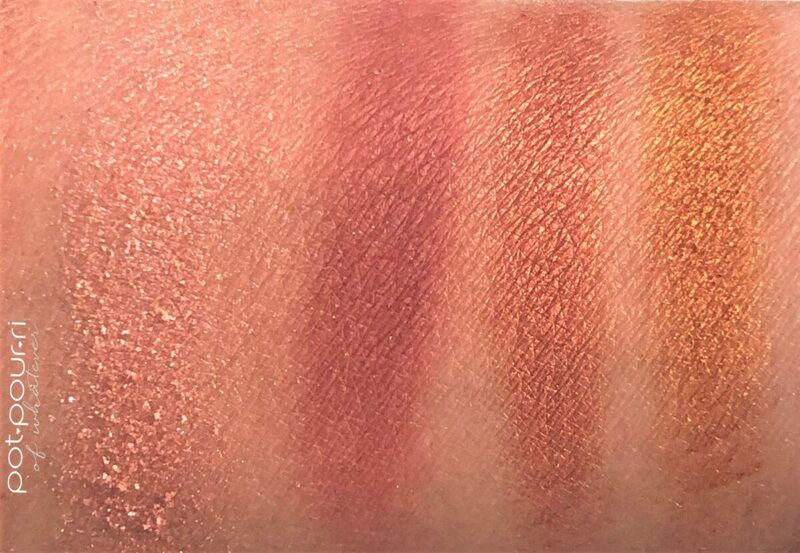 To begin with, the eight color eye shadow palette I purchased is Amour, Amour. 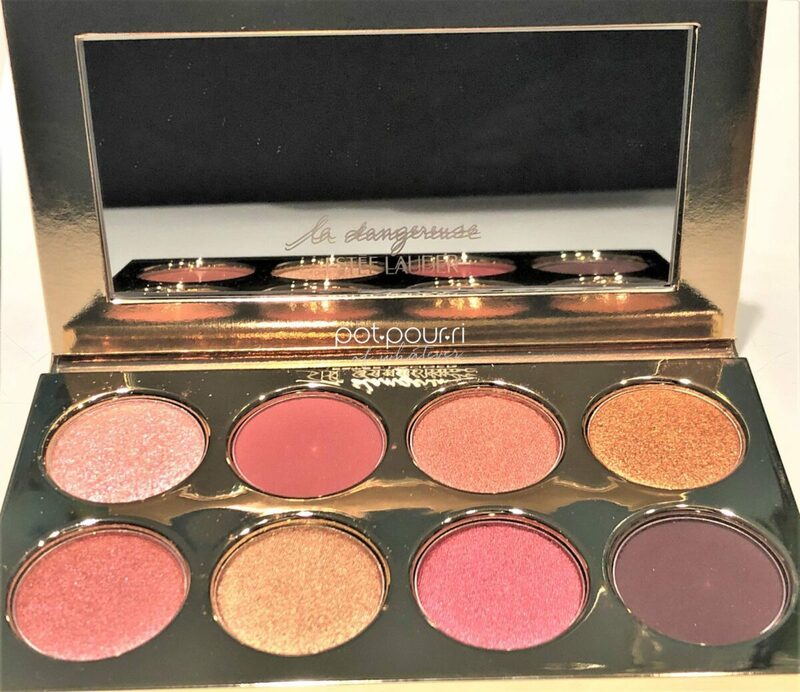 It is a burgundy and pink shade palette. I chose this palette because I think it is the more wearable of the two. The other palette, Blue Dahlia, is very beautiful. However, how often do I wear blue eye shadow? Although, writing this, I decided to purchase the Blue Dahlia Palette. so stay tuned for another review! Anyhow, I love the textures of the shadows, and the shades of Amour, Amour. In addition, the eye shadows have bold pigments. There are a lot of looks you can make with these eight shades. To start with, the first shade is a metallic pink shade with a sparkly finish. I love that you can wear this shade on your eyelids. Also, you can apply it lightly and wear it under your brow bone, and on the inner corners of your eyes. Next, shade 2 is a deep burgundy shade with a matte finish. First, I love this shade as a transition shade in the crease of your eyes. Also, wear it in the outer corners of your eyes for more definition. Furthermore, you can smoke the burgundy out. Finally, I love this shade as a liner. Therefore, I like wearing it on my lover lash lines. Third, is a burnt orange shade with a pearl finish. Now, if you want to be daring, I would wear the deep burgundy shade on my eye lids, and use the burnt orange shade in my crease. Also, I love the burnt orange shade on my lower lash lines as an eye liner. Also, you can wear it on the outer corners of your eyes and smoke it out. Finally, shade number four is a copper color with a pearl finish. One way I would wear number four is on the center of my eye lids. I also love it on the outer corners of the eyes. Last, I like it on my lower lash lines. The first shade is a medium-deep pink shade with a sparkly finish. First, this is gorgeous on your eye lids. Next, I like it on the outer corners of your eyes. Furthermore, it looks great as an eye liner. Next, the second shade is a coppery reddish-gold shade with a sparkly finish. This is a beautiful shade applied lightly on your brow bone. Also, I love it as an eye lid shade. Furthermore, wear it in the center of your eyelids, to make them pop. The third shade on the bottom is a burgundy red shade with a pearl finish. This is another gorgeous metallic burgundy shade that looks great on the eyelids. I would use the burgundy matte shade in the crease for this look. Also, pop some in the center of your eyes, or apply it lightly under your brow bone. Finally, the last shade on row two is a deep, dark burgundy that looks almost like a dark plum shade with a matte finish. Absolutely war this shade as a liner for a dramatic look. Also, use it as a crease shade. Last, use it to accent and define the outer corners of your eyes. This face trio has two blushers and one highlighter. 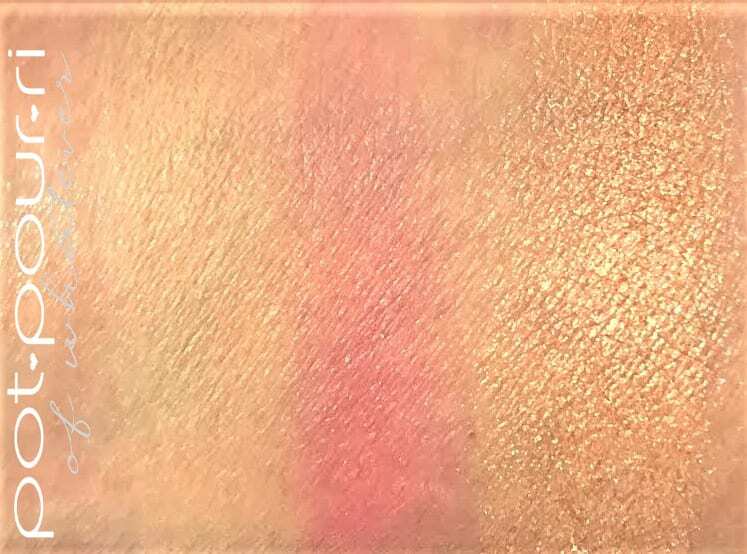 However, the first blush, a powdery peach shade with a satin finish, looks more like an eye shadow base than a blush. Although, the second blush, a gorgeous pink shade with a satin finish, is more like it! At least when you apply the pink blusher, it looks like blush! 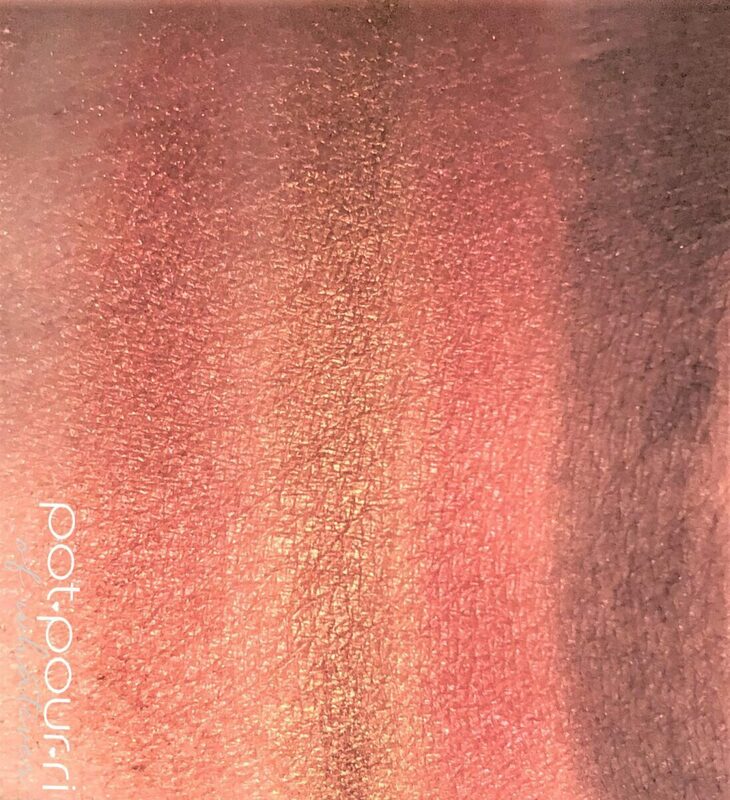 Last, the highlighter is a peachy-gold shade with a pearl finish. I would use the pink blush on the apples of my cheeks. Then, I would put the highlighter on the high points of my face. For example, I would wear the highlighter on my cheekbones, the bridge of my nose, my Cupid’s bow, my chin, and on my brow bones. The only thing I could use shade one would be to mix it with the pink shade for a lighter flush. I am a little disappointed with the first shade because it isn’t going to shape anyone’s face. So, if you can tell me what to do with it, I’d love to hear from you! 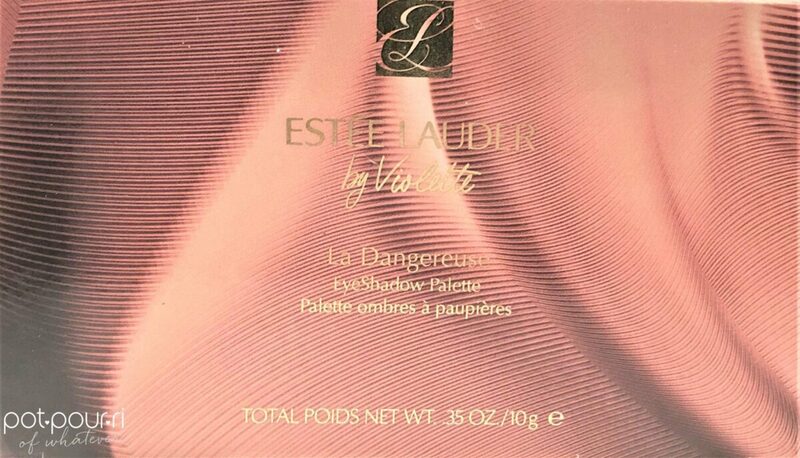 I love that Estee Lauder discovered Violette and snatched her up before anybody else. First, Violette adds a fierceness, and alluring quality to the Estee Lauder that my Grandmother wore! Violette has brought the brand into the new century. She has given new life to the brand. In her day, Estee Lauder had a sixth sense because she knew what women wanted. Now, Violette has the same sixth sense. She knows what women want now. As a result, Estee Lauder continue to be one of the great makeup brands on the market today. 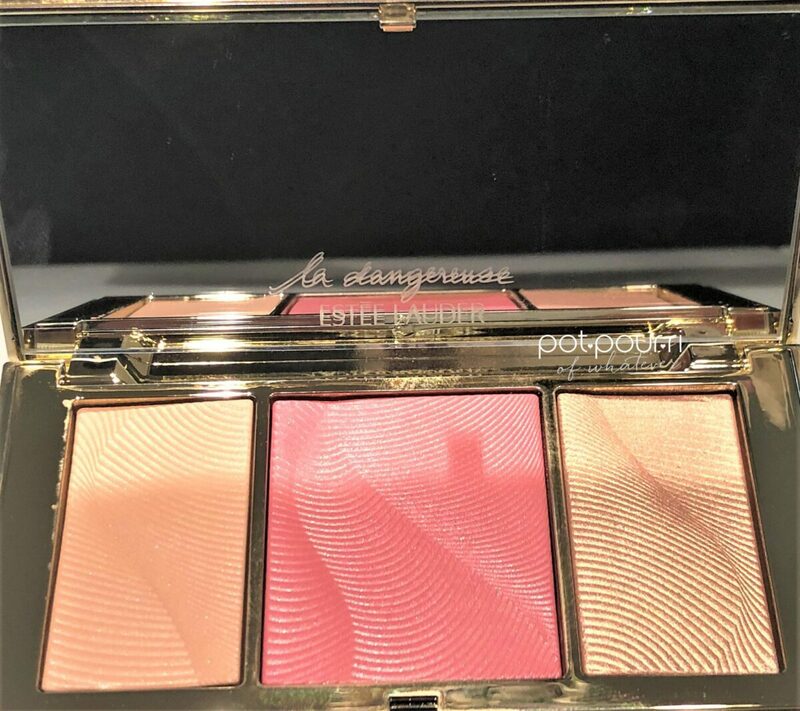 The La Dangereuse Collection put Estee Lauder’s Vavava Voom Back on the Map!